A total of 10 club members arrived at the storage shed Friday morning, starting as early as 10 AM up to 10:40 AM. Due to this great turnout of help, we were able to load up folks vehicles and get on the road by 10:45 and head towards Wilbur’s just outside of Goldsboro. 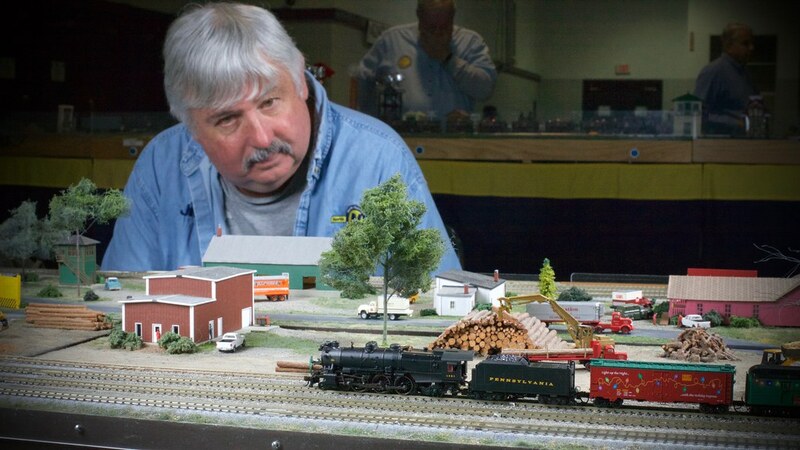 A total of fourteen members participated in the Train Collectors’ Association Train Show held at the Scott Building, NC State Fairgrounds on Saturday and Sunday, December 5 and 6, 2015 with setup on Friday, December 4. 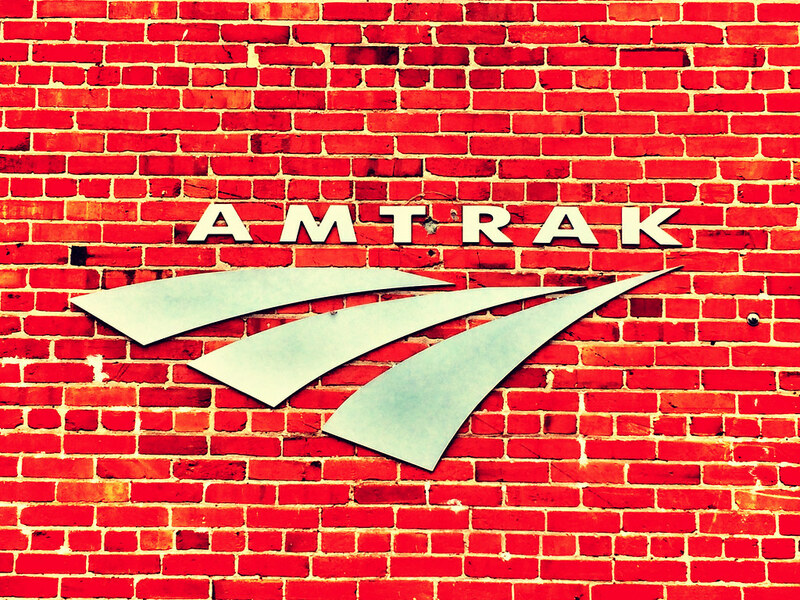 Our layout utilized 7 of our 8 banquet tables arranged in an E shape. 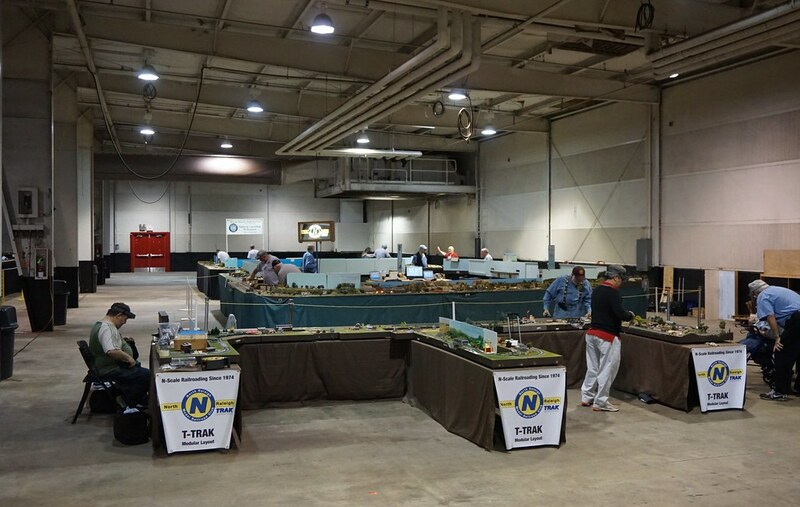 Twenty-one members of the NRMRC participated in our NTRAK and T-TRAK layouts at the 2015 NRV Train Show, thirteen of them all three days. 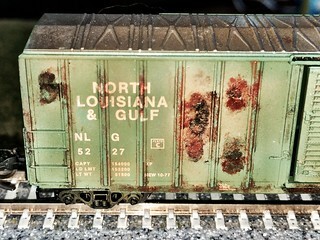 We were joined by our friends from the Central Carolina N Scalers. Joining both groups were about a million mosquitoes. The North Raleigh Model Railroad Club participated in the Train Collector’s Association Show at the Scott Building, NC State Fairgrounds on Saturday, August 8, 2015. 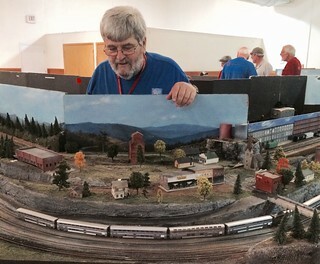 Four members helped with setup on Friday and nine members participated with setup, operating the layout and tear down on Saturday. 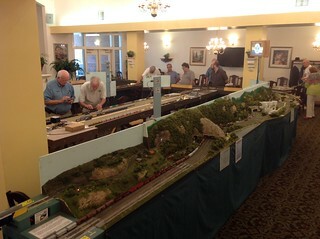 Seven members of the Club, five on both days, setup and operated our T-TRAK layout at Windsor Point Retirement Home in Fuquay-Varina this past weekend. 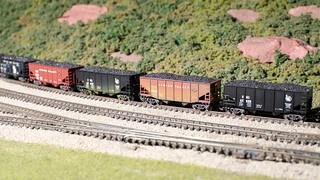 Joel McCurry arrives with Joe Peacock and Jim Kalenowski hauling the Lolipop Farm module in Joel’s, darker than BN green, van. 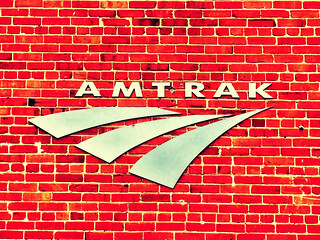 I call Dave Thompson and let him know we should arrive in Danville, VA at about 6:30 AM. Joe has had several cups of coffee by this time and keeps the conversation moving when we reach the rendezvous in Danville at 6:24 AM. 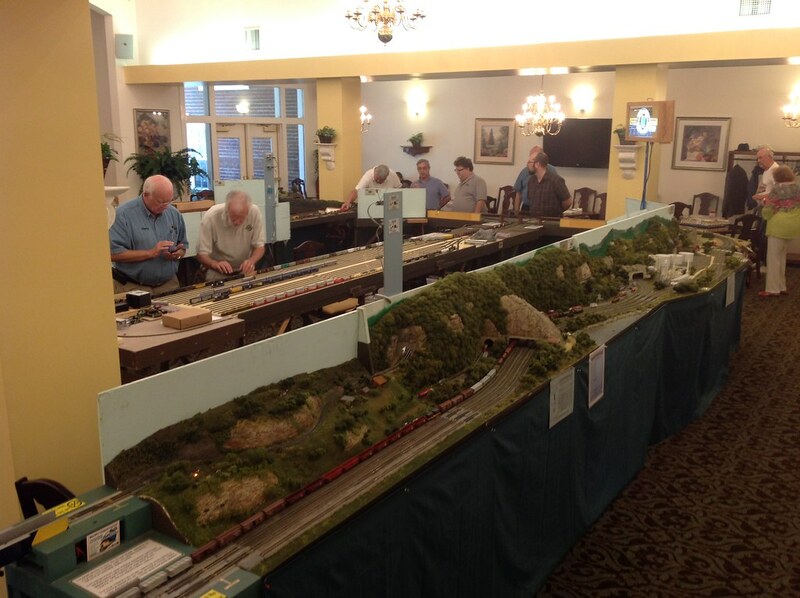 Sixteen members of the North Raleigh Model Railroad Club, eleven all three days, attended our show at Windsor Point Retirement Home in Fuquay-Varina this Father's Day weekend, June 20-21, 2015. 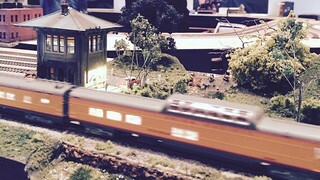 Many residents and their families attended the show, more than in past years. All thanked us for coming. The North Raleigh Model Railroad Club participated in the TCA Show held this weekend in the Scott Building at the NC State Fairgrounds. This is the first time the May TCA show was a two-day affair. Eleven members participated in this show. Special welcome to Sue and Larry Hicks, and to Todd Shoffeitt for participating in their first club show. We also appreciate Sue going the distance to get us all pizza for lunch. 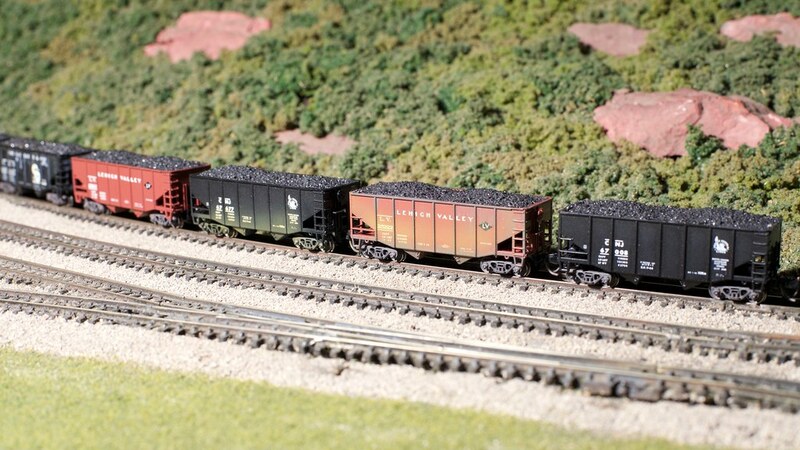 On Friday, February 20, 2015, a small but hardy crew arrived at the storage shed to affect the coldest load up in NRMRC’s history. It was around 16 degrees when D. Derway arrived at 10:30 AM to find John Wallis already there and waiting. Within 15 minutes, Brian Sadler, Joel McCurry, Dave Thompson and Chris Thompson arrived to assist in loading. Mark Blaustein arrived with all the items from the club donation to be given to the members that were attending the show.